Hi Friends. I hope you all had a wonderful Thanksgiving. I’m still typing up my after-action report, but in the meantime I wanted to share with you a recipe for Sister Pie‘s salted maple pie, a perfect fall dessert, a salty-sweet, custardy treat that received rave reviews this past Thanksgiving. 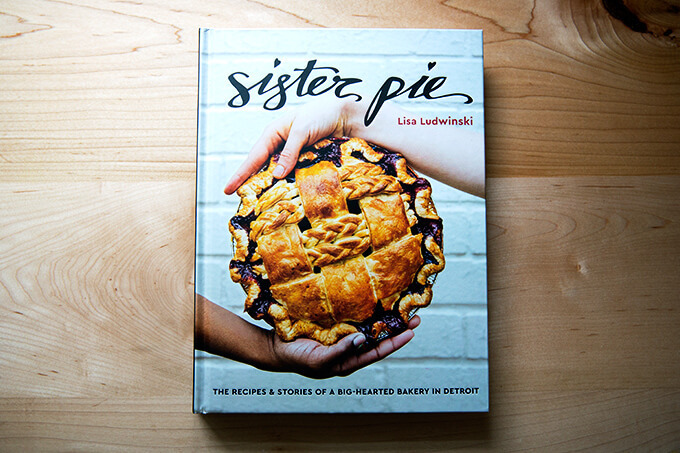 Sister Pie, if you don’t know, is a bakery in Detroit founded by Lisa Ludwinski, a Michagan native, and her cookbook came out a few months ago. 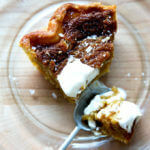 A few days before Thanksgiving, in search of one more pie to add to my dessert spread, I began paging through Sister Pie and landed on this recipe, the bakery’s take on a classic chess pie, an old-fashioned Southern dessert which typically contains cornmeal, butter, sugar and eggs. 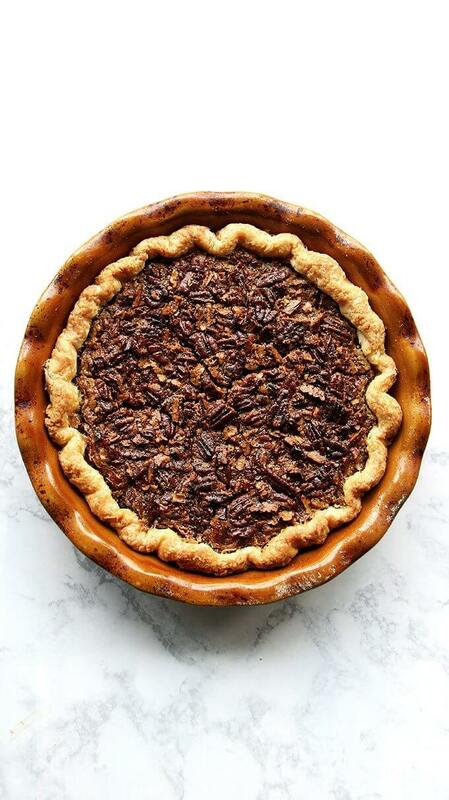 Sister Pie’s version also contains cornmeal but is sweetened with maple syrup and is finished, once the pie cools, with a nice sprinkling of sea salt. I find it irresistible. I think you might, too. Though I’ve only made one recipe from the book, I have no doubt it’s going to get heavy use — the day after Thanksgiving, I curled up on the couch by the fire and read it nearly cover to cover, transfixed as much by its story as its recipes, the sweet and savory alike. 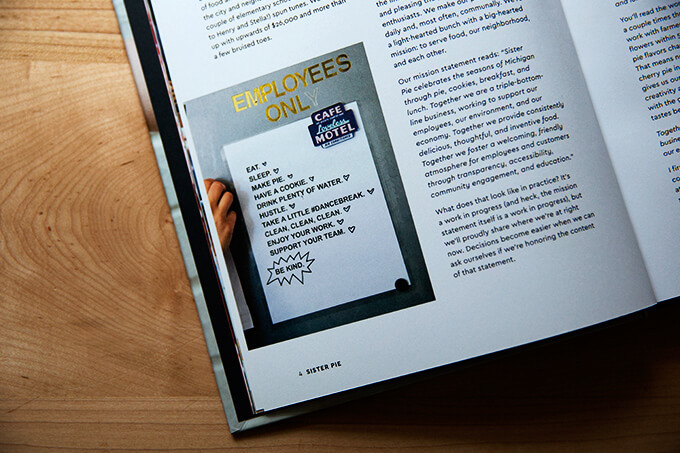 The introduction to the book, which includes the bakery’s mission statement and an analysis of each sentence, made me cry multiple times. 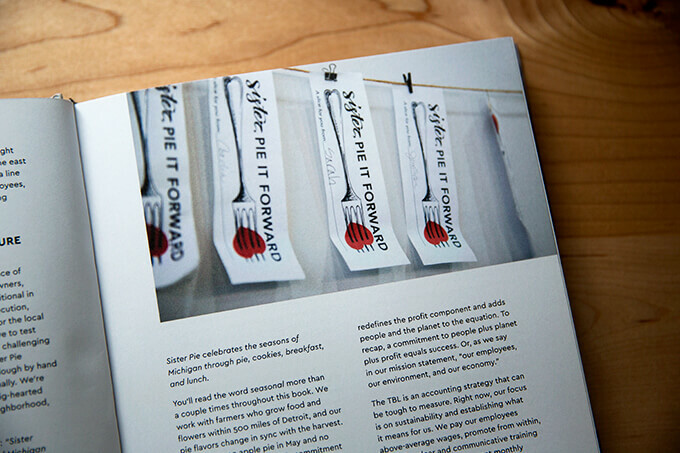 This was one trigger: To support their mission of accessibility, they have a program — the Sister Pie-It-Forward program — that allows customers to pre-purchase pie slices, the paper representation of which gets strung along a pie-it-forward clothesline, ready for anyone to unclip at anytime and to use for any reason. No one leaves without a slice. Pie it forward. Can you handle it? I don’t want to spoil too many more details, but Lisa also encourages her employees to dance, drink water, sleep, eat cookies, hustle, and be kind. I mean, what? Who? Where? Places and people like this really exist? 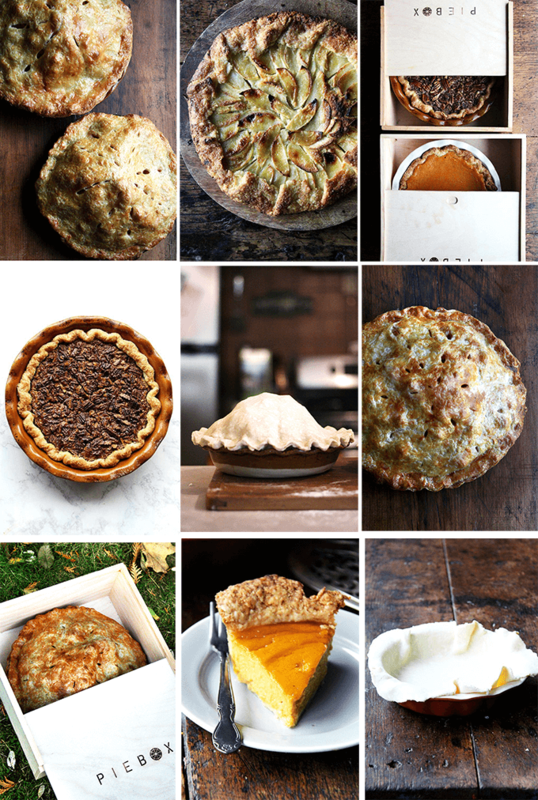 Fellow cookbook collectors, bakers, and pie lovers: I think you should add Sister Pie to your wish lists. Reprinted with permission from Sister Pie, copyright © 2018. Photography by E. E. Berger. Published by Lorena Jones Books, an imprint of Penguin Random House. 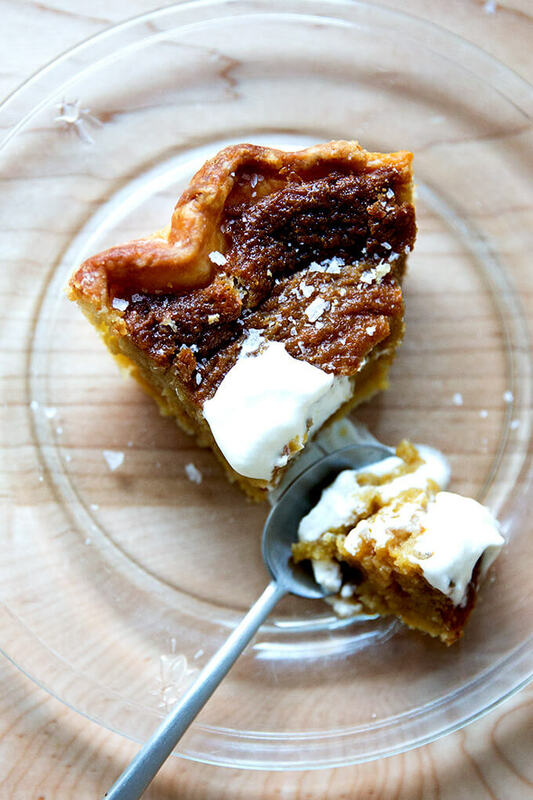 From Sister Pie, a new cookbook from the eponymous bakery in Detroit, this salted maple pie, to me, is everything I want in a dessert: a sweet and salty custard in a flaky, buttery crust. Heaven. It was perfect for Thanksgiving, but I think it’s nice for fall in general. A few notes: I don’t blind bake pie dough anymore — it never seems to make a huge difference to me and the effort always feels impossible at the moment. I’ve included my foolproof pie dough recipe below, which yields 2 rounds (and which, unlike Sister Pie’s recipe, is made in the food processor.) I don’t think it’s worth halving the recipe because it freezes beautifully. For Thanksgiving 2018, I made a double batch of the pie dough and made three other pies in addition to this one: Bourbon Pecan (No Corn Syrup), Ronnie Hollingsworth’s Most Excellent Squash Pie, and Apple-Frangipane Galette. Also, I didn’t use the egg wash on the crust — because my dough has a little bit of sugar in it, it browns beautifully on its own. Finally, I find my Emile Henry pie plate makes the best crust. Preheat your oven to 350°F. Fit the rolled out pie round into a 9-inch pie plate. See video guidance for trimming the excess dough and crimping it to make a nice fluted edge: in sum, trim excess dough, fold edge back and underneath, pinch to create the fluted edge. 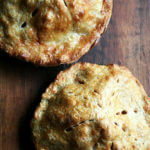 Place the pie plate on a parchment-lined baking sheet. Pour the filling into the pie shell. Remove the baking sheet from the oven and transfer the pie to a wire rack to cool for 4 to 6 hours. 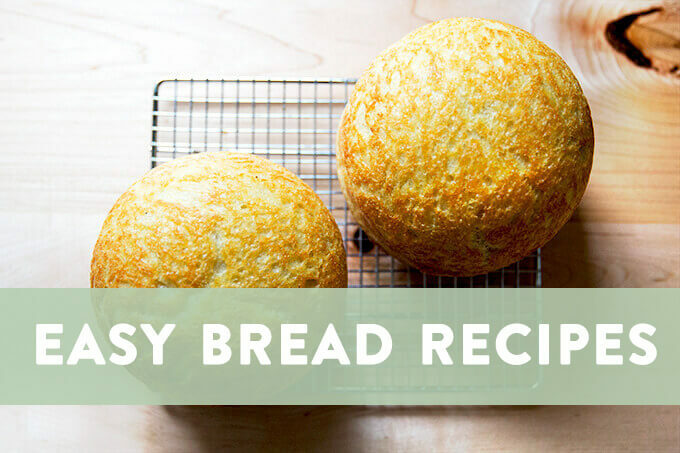 Once fully cooled and at room temperature, sprinkle generously with flaky sea salt, slice, and serve. To make the whipped cream, beat the heavy cream with a wire whip or in an electric mixer until soft peaks begin to form. Sprinkle in a small handful of sugar and a pinch of sea salt and beat until peaks begin to get firmer. Taste. Add more sugar and salt to taste. Beat until peaks begin to hold their shape or until they reach a texture you like — I like billowy, not-quite-stiff peaks. Store in fridge until ready to serve. This looks AMAZING! I can’t wait to make it. Thank you! Sally …. it doesn’t 🙁 🙁 🙁 I totally hear you though … weights are so, so nice. BUT I think you might love this book even so. Oooo…thank you for posting this! I bought this book for my Christmas present (along with…ahem…about 9 more cookbooks) so I cant look at it until Christmas!! Now I have a sneak peak because of you…..but…this might make it that much harder to keep away from it! It’s such a good one, Rosa!! I’m fortunate enough to live in the Detroit Metro and have easy access to Sister Pie. Not only can I attest to the wonder that is their shop, but have also found that every…. single… recipe from their cookbook I’ve made so far has turned out wonderfully. 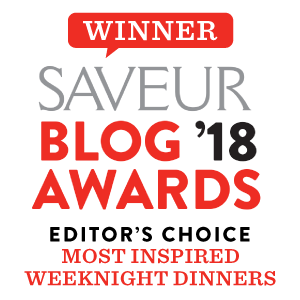 So glad to see it featured here! Oh Sara! Lucky you. I’m so happy to hear other recipes from the book have been a success as well. I can’t wait to try others… it’s really put me in the holiday-baking spirit. Thanks so much for writing. Happy happy holidays! 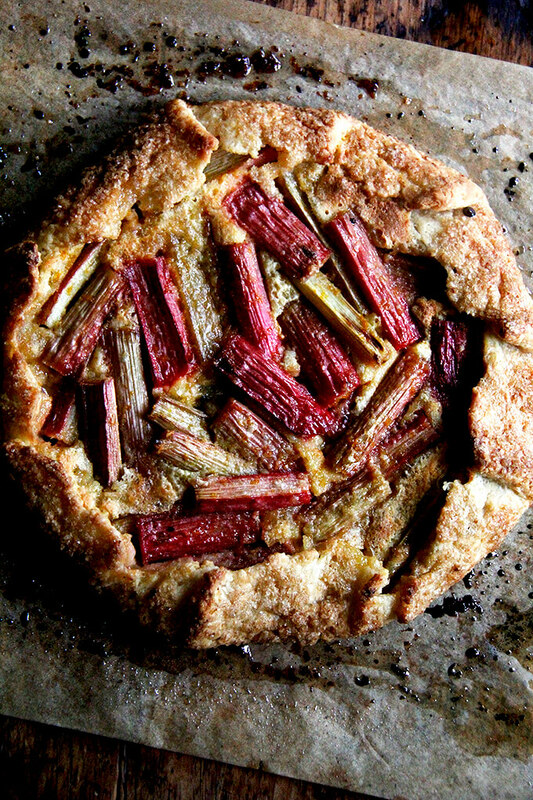 This looks delicious, and it’s not pumpkin pie. I still haven’t totally forgiven you for that butternut squash lasagna last year. Talk about a good thing and, of course, wanting too much of a good thing! Only kidding; it’s a great recipe. My only change was I made extra béchamel for the top, which worked well. 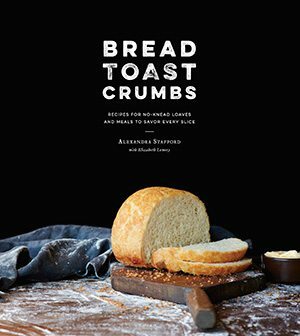 I gave your wonderful book Bread Toast Crumbs with two Pyrex bowls as a shower gift to a lovely young woman I used to work with. It was so well received, and your bread is made weekly in her house, that she is giving that exact gift to her mother and her mother-in-law for Christmas this year. PLEASE do your local Christmas shopping suggestions again this year. I don’t live that far from you (Stephentown) so I can get to all those good places. Oh I’m so happy to hear all of this! Thank you for spreading the Bread Toast Crumbs love. 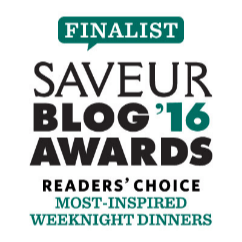 So happy you like that butternut squash lasagna … extra bechamel is never a bad thing. Smart! I absolutely will do another local guide … there will be some repetition in the shops, but there are a few new places I’ve been loving. Happy happy holidays to you as well! Thank you for saying hello. I want to win a cookbook and I loved your conversation with Margaret at A Way to Garden. At the moment my favorite gift cookbook is Melissa Clark’s newest one about comfort in an instant. Thank you, Ellen! I’m looking forward to trying some of the recipes in Melissa’s Comfort in an Instant. I made an instant pot butternut squash soup yesterday (recipe from the web) and it was so good and made me realize I need to use my IP more. So happy to hear this! Yes, you can absolutely do the overnight rise with the cheddar-parm bread. Definitely do the rise in the fridge (as opposed to at room temperature) because of the cheese. As always, the key is just to be patient with the second rise … when it’s cold out especially, the second rise may take longer, but it will get there. Happy Baking! 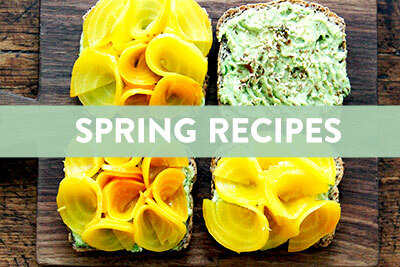 i’m making two of these right now and they smell amazing! i was wondering why my pies were not setting even though it has been over and hour and just realized i forgot the CORNMEAL. augh!! i knew it was not the greatest idea to make them while 3 little kids were hanging off my legs. alas… hoping they still set a bit and taste ok despite the huge error. any tips? thanks for the great recipe! 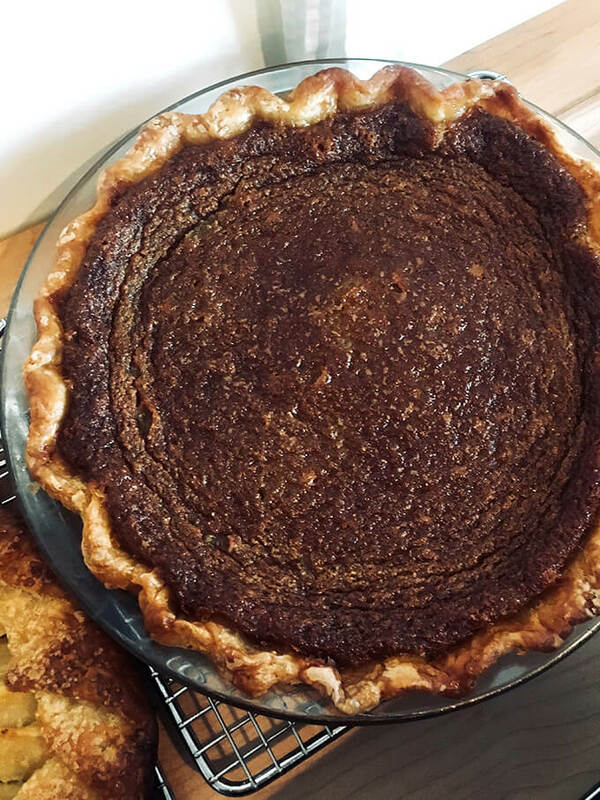 I made this recipe from the sister pie book, and the flavor was great, but the inside when it was cooled was pretty wet compared to what I would expect from a similar pumpkin pie. Is this supposed to be a wetter pie or did I unfortunately undercook? Oh bummer! It sounds as though it was a little undercooked. It’s definitely a wet texture — it’s a custard — but it shouldn’t be too wet. The cornmeal gives it a little more texture/body. I’m sorry to hear this!